Dazzling scrapy quilts from lap to kingsize. Cutting chartsinclude yardage, cutting, and number of blocks for eachsize. 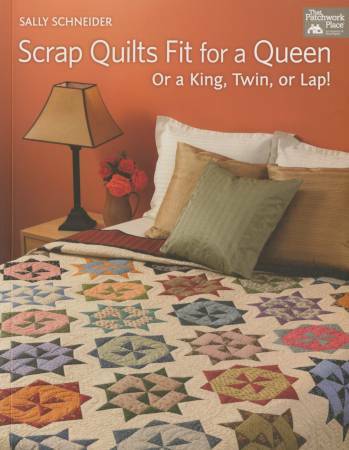 Includes clever short cuts for strip piecing, half andand quarter-square triangles, folded corners, plus freezerpaper foundation piecing. Pub.Jan-2013;96pp.